[W]hen the Soviet bloc fell in the early 90s, it abruptly turned off the spigot for Cuba’s sugar subsidies and regular shipments of food, gasoline, farming equipment, synthetic fertilizers, and pesticides. With the U.S. trade embargo cutting off other supply routes, Cuba’s fishing and sugarcane industries collapsed. Inorganic fertilizer use plunged and agricultural production quickly followed, down more than 50 percent in just five years. Cuban farmers were forced to make do with much less. In necessarily smaller fields, oxen took the place of now-abandoned tractors and organic methods replaced the now-unavailable synthetic fertilizers and pesticides. Between 1999 and 2001, the country’s average use of inorganic fertilizer fell back to about 15 percent of its 1989 peak—with most of that earmarked for sugarcane production. 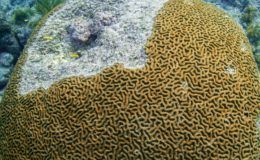 A report on the status and trends of Caribbean coral reefs from 1970 to 2012 suggested that threats from both land and sea have wiped out more than half of the region’s corals since 1970. 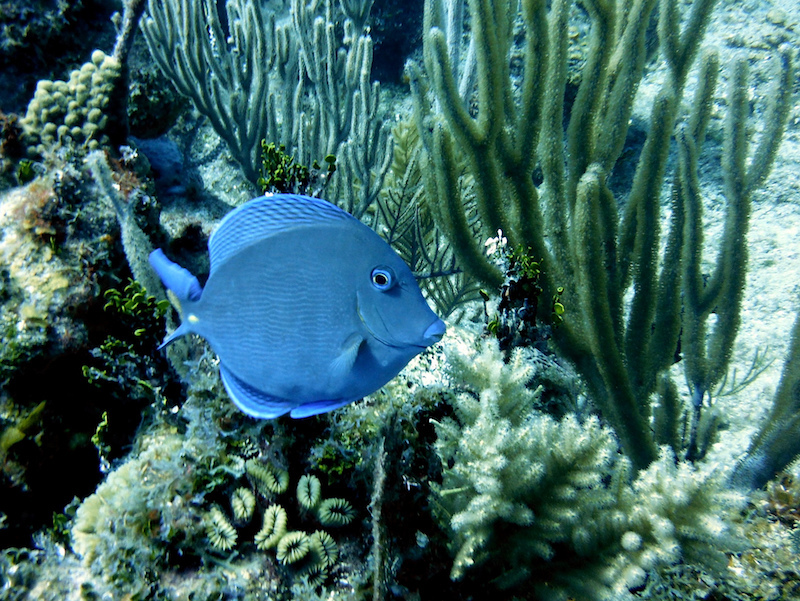 In Cuba, though, the decline in the extent of live corals covering its reefs began to reverse course in the mid-90s. 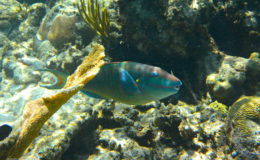 Although data are limited, the apparent recovery roughly coincided with an uptick in the biomass of parrotfish and grouper—two key indicators of reef health; parrotfish, for example, graze on and help prevent the overgrowth of the corals’ algae competitors. 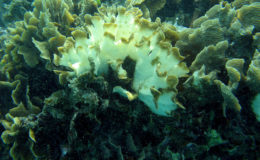 Subsequently, the average percentage of each reef covered by algae began to drop. By attaching a hand-held pneumatic drill to a scuba tank, the scientists extracted a lengthy core from a massive starlet coral in a patch reef within the Gulf of Ana María, between the Cuban coast and Gardens of the Queen. This time capsule, roughly the diameter of a coffee mug and the length of a broomstick, includes growth layers dating back to the late 1700s, when slaves toiled in the nearby sugarcane plantations of Camagüey Province. Siciliano’s lab is initially extracting information about water temperature and salinity to reconstruct the historical climate. In the project’s second phase, her lab will use a state-of-the-art mass spectrometer—like a sensitive scale for molecules—to analyze tiny amounts of nitrogen trapped in the calcium carbonate, and capture any trends in the quantity and quality of nitrogen that seeped into the gulf. Based on the ratio of two nitrogen isotopes, or stable variants of the element, the technique can differentiate among sources such as sewage, organic fertilizers, and synthetics. By comparing fluctuations in the fertilizer levels with ocean conditions and the coral’s annual growth bands, the research might help correlate pollution levels with the health of the reef at specific points in time. Visit bioGraphic for the full article (and some spectacular photos).